LUTIKKO e Namirembe ewuumye nga Ssaabasajja Kabaka wa Buganda Ronald Muwenda Mutebi II yeebaza Katonda okumutuusa ku myaka 25 ng'ali ku Nnamulondo ya bajjajja be alamula Obuganda. Okusaba kukulembeddwaamu omulabirizi w'e Namirembe, Rt Rev. Wilberforce Kityo Luwalira ng'ono asabye abantu okufaayo okujjukira Katonda olw'ebyo by'abatusizaako. Ssabasajja webale kuwangala. Naye no bajjajja abazira singa nabo batuwangalirako netubalabanga ko!! Ate era bino ebiseera bizibu ddala wano ewaffe e Buganda. Bijuliza abasajja abazira Abaganda. The Vatican has issued guidelines for media coverage of Pope Francis' visit to Uganda in late November. According to the guidelines, all official communication regarding the papal visit will have to be approved by the Vatican or the Pope's representative to Uganda, Micheal Augustine Blume. National Communications Coordinator of the Catholic Church, Fr. Philip Odii read the guidelines during the formation of the Information and Publicity Committee for the Pope's visit. The committee is charged with ensuring that the Pope's visit gets maximum publicity, especially among rural and marginalized communities. The media will be divided into three categories. The first; includes the Vatican-approved media crew with equipment capable of transmitting images and audio-visual materials in real-time. These include the over 70 journalists from the Vatican. The second category includes national and regional media who will have to conform to approved standards of pontifical coverage, including all national media. The third ring will comprise the other approved journalists including international correspondents. Fr. Odii says not all journalists need to get close to the Pope since there will be real-time relay of the events, adding that journalists should take advantage of the huge media centre that will be set up at Imperial Royale Hotel. The first-ring media will stream the events live to the media centre without any logos, graphics and commentary to enable the rest of the media use them in their rebroadcasts and reports. The information and publicity committee is headed by Bishop of Lira Diocese, Joseph Franzelli. It has sub-committees on media coordination, ICT and social media, as well as one on production of souvenirs and other information materials. According to Isaiah Rwanyeniko who represents the government's Media Centre in the committee, accreditation of journalists will start shortly because of the many journalists expected to cover the event. 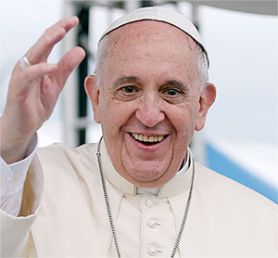 Pope Francis is scheduled to visit Uganda this November from 27-29. Of course the catholic media control must be there. Especially where those who are on the side of King Mwanga want to re-state their side of the Buganda- Namugongo religious and political civil war of 1886/1900. And they are not allowed to do so at any cost. Mwanga nga yetulidde ntende e Buganda ayaniriza Abagenyi Abazunga 1880. Nnalinnya we ye Zalwango Mpologoma. Bakatikkiro be, be baali Mukasa wa Musu, ne Muguluma wa Njovu. Bakadde be, be baali Muteesa I ne Abisagi Baagalaayaze wa Ngonge. Emyaka gyeyafuga: 24/10/1884-2/8/1888 ate nazzibwaako nga 11/10/1889. Wano Obwakabaka bwa Mwanga webukoma kirabika kyama kya Kattikiro we Sir Apollo Kaggwa na Bazunga beyali akolera amale akole nabo Endagaano eya 1900 eya Buganda ne Bungereza. 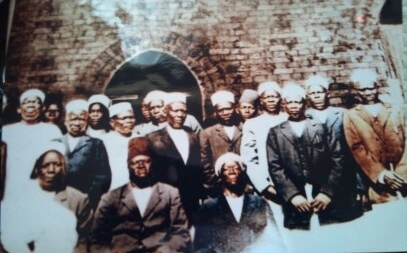 Muntalo zeddini ya Bazungu (Obukristayo) nezo Busiraamu(Mohammendan) zayawulamu Obwa Kabaka bwa Mwanga wano e Buganda, emirundi ebiri. Baganda be Kiweewa Mutebi ne Kalema Rashid nebagabana kubwakabaka buno okubufuga. Kiweewa yafugiramu: 2/8/1888-12/10/1888. Yamalako ennaku 72 zokka. Kalema yafugiramu :12/10/1888-11/10/1889. Yamalako omwaka gumu gwokka. Damali Nanjobe Baliira wa Njovu. Yazaala Kagolo. Dolosi Mwanoomu Bakazikubaawo wa Ngabi. Teyazaala. Esiteera Nabunnya wa Ngeye. Yazaala Yusufu Ssuuna Kiweewa. Evalini Kulabako Maasombira Omusubika wa Ngabi. Yazaala Dawudi Ccwa. Looyi Lozi Nakibuuka Kaddulubaale wa Mamba. Teyazaala. Loza Nantume wa Mbogo. Yazaala Nakibinge Bamweyana Ntengeekaawa e Namulanda, Busunju, Ssingo. Ye yali Kiweewa.-----Erya Ntengeekaawa yalimutuuma lwa kukuba kitaawe ekigwo nga bazannya omuzannyo gw’ekigwo. 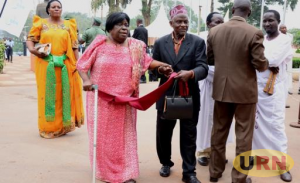 Ssekabaka ono ye yasimisa ennyanja ya Kabaka mu lusenyi Nsiike. Nga 2/8/1888 yadduka nga olutalo lw’Abasiraamu lubalusewo. Yaddako nga 11/10/1889 okutuusa 6/7/1897. Mwanga bwe yaddako omulundi ogwokubiri, kwe yalondera Apollo Kaggwa okulya Obwakatikkiro(1889).------Abasomi Abaganda nga begasse nabazunga(Abangereza) bebamuwaliriza. Mwanga oluvanyuma ensonga zabasomi nga begasse wamu nabazunga byayongera okumulemesa okufuga obwakabakabwe. Yajeemera endagaano zabwe nga alaba Abazunga bamaliridde okulya ensi ye. Abakungu ba Buganda beetaba na Bazunga banno ne bamuyigga. Era nadduka nate neyegatta ne Kabalega omufuzi we Bunyoro okulwanyisa enfuga eno. Abaana abato abaali abasomi ba Mapeera nebalemmwa okutuukiriza emirimu mu Lubiri lwa Ssekabaka Mwanga II. Ekibonerezo kwali kufa. Oluvanyuma Mwanga yakwatibwa Abazunga bano nga bayambibwako Abakungu ba Buganda nga 9/4/1899. Omusajja ayitibwa BAKULEMBEZE (mukifananyi) nga aduumirwa Kimbugwe ye yakwata Mwanga. Ate Semeeyi Kakungulu ye yakwata Kabalega. Baabakwata ku lunaku lwe lumu mu kifo ekiyitibwa Kyakwala mu Bukedi. Kabalega bamukuba omukono ne bagumenya. Kyakwala-Kikabukabu-Kaga-Makitwe-Mukyula, awo ne basaabala Kyoga ne bagguka e Kisalizi. Okusinziira ku Sir Apollo Kaggwa, wano we baava nga 3 Maayi 1899 ne bagenda e Kirinda-Wabigagi-Kaamuwanula-Kirwazza-Kalagala-Kiteezi-Kampala. Eryo ly’ekkubo lye baayitnaga Kyamuwangaaza. Babatuusa e Kampala nga 11 Maayi. Kattikiro yasaba Abazunga, Mbogo n’Abalangira abalala n’Abambejja, balabe ku Mwanga era ne bakkiriza. Kyokka olwavaawo ku olwo nga 11/5/1899. Abazungu ne babatwala e Busaabala ne babawangangusa okubatwala e Seychelles(Sesere). Eno Ssekabaka Mwanga gye yaseererera nga 8/5/1903. Ccwa Mutabaniwe Abazunga baali bamala dda okumuteka kubusika nga 14/8/1898. Kibi nyo abalala okumenyamenya obulombo bwa Buganda. Abakungu ba Buganda bakali-nkwe basooka kusirika ne batakuba ku Mujaguzo kulanga nti Kabaka yaseerera. Era ne bwebaabika kyabatwalira emyaka 7 okukakasa ng’Abaganda tebakyasobola kwekalakaasa, oba okuleeta emitawaana emirala gyonna. 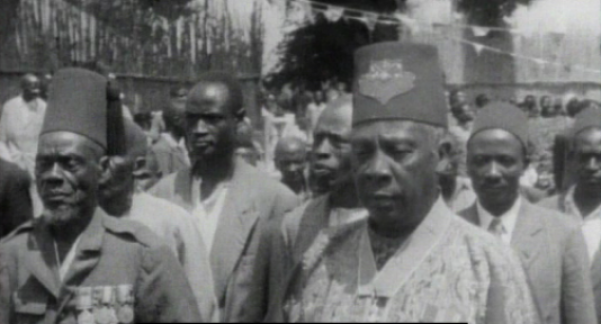 Olwo no nebalyoka bazza enjole ya Mwanga nga 2/8/1910 era enkeera nga 3/8/1910 nebamutereka e Kasubi ku kitaawe awatali kulwawo. Anti nokusumulula enjole osanga bingi ebyandilabise. Kubanga bamukuba kyasi kya mundu. Bamuzza ng’akyali wamu ng’alinga eyeebase okukakasa nti yeye. Ate ye Kabalega engeri gy’ataafuna bujjanjabi mangu ng’amaze okukubwa omukono, yeeyongera okulwala ne gutana ne guvaako. Baamuzza mu 1925 ne bamugaana okudda mu nsi ye, ne bamukkuumira awo e Mpummudde e Jjinja mu nyumba ya Kakungulu nga alina omukono gumu. Mbu omutabani yamala dda okumusikira. Kibi nyo Kakungulu kubanga awo Kabalega naye bamujjawo nga njole ye Bunyoro. Wadde nga Kattikiro wa Buganda, Sir Apollo Kaggwa, yagamba nti Mwanga yaseerera lwa bulawadde nga’azimbye omubiri gwonna. Abaganda tebakkiriza nti Mwanga yazaama lwa bulwadde. Anti Abazunga n’Abakungu baali beeraliikirira Mwanga nga bamanyi nti Abaganda tebakkiriza kusikiza muntu ng’akyali mulamu. Ate nga Mwanga ye yali amaze okubajeemera nga baagala kussaawo mulala gwe banaakozesa kye baagala. Kyebalina okukola, kwe kuggyawo Mwanga. 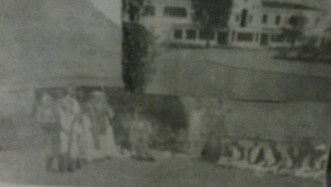 Pilgrims looking at effigies of some of the Uganda martyrs who were burnt alive. The story of the Uganda Martyrs is probably one of the most re-told stories there is in the Uganda Christian faith context. The 45 men that gave their lives in a grandiose show of faith etched their names in history. However, for almost the entire part of that history, it is the 22 Catholic martyrs that have been celebrated the most. What you will not hear of is that there were another 23 or so Anglican martyrs and Muslims too. History tells of the 22 Catholic Martyrs killed between 1885 and 1887 by Kabaka Mwanga of Buganda; 13 of the martyrs were burnt to death at Namugongo. What history does not tell us is that a decade before the Christian martyrs embraced their end; Muslim men had also met the same fate in Namugongo – perished in a blazing inferno – on the orders of Kabaka Mutesa I, Mwanga’s father. History does not give us figures of those martyrs. However, some history books and collaborations put the number between 50 and 70. “I think the Catholic church – which has the largest following on the planet – moved fast to not only recognise but prop it martyrs and that made a huge difference. Other faiths have taken long to do that,” say Julius Twinamatsiko, a seminarian at Kitabi seminary. Following the deaths, the Roman Catholic Church used the episode to make the victims the focus of a “cult of martyrs”. On June 6, 1920, the Catholic martyrs were beatified by Pope Benedict XV and canonized by Pope Paul VI in 1964. The other two martyrs were speared to death in Paimol, Gulu in the North of Uganda in October 1918. They were beatified by Pope John Paul II on 20th October 2002. “Then there is the issue of infrastructure. The setting up of the magnificent Namugongo shrine structure created a convergence point for many,” explains Jamada Musa, a Muslim scholar at the Islamic University in Uganda. In the 1970s, ex-President Idi Amin attempted to build a mosque in the memory of the Muslim martyrs. Land for the project was allocated opposite the current Anglican martyrs’ church in Namugongo. However, Amin was ousted before his plans would come to life. Whenever there is commemoration of the June 3 event, the Catholic Church always makes sure that they organise an epic event on a global scale with the Church in Rome overseeing proceedings. Twinamatsiko says the June 3 Martyrs Day has given the church a platform for them to celebrate their martyrs like Charles Lwanga, an advantage that the other churches have not grasped and built upon. Subsequently,Fr Francis Muwonge, the executive secretary at the Namugongo shrine says each year, Namugongo has witnessed an influx of close to a million pilgrims and an audience of millions upon millions across the globe. “For now, it looks like it will take a whole lot of effort from other faiths to pull the names of their fallen afore. More so, it will require a whole lot of investment and dedication from their followers, otherwise the Catholic martyrs will continue to remain the most celebrated for the foreseeable future,” he adds. St. Charles Lwanga was a Muganda by tribe from Buddu county (Birinzi village) but there are mixed findings about his parents. St. Matthias Mulumba Kalemba was a Musoga by tribe from Bunya county in Busoga. His biological parents, however, are not known. St. Noah Mawaggali was a Muganda by tribe from Ssingo county and of Bush-Buck (Ngabi) clan -Tragelaphus Scriptus. His father was Musazi and mother Meme. St. Kizito was the youngest of all the Martyrs who died at the age of 14. He was a Muganda by tribe from Bulemeezi county. St. Joseph Mukasa Balikuddembe was the head of Catholic Church during the absence of Catholic Missionaries and a leader all Christians. St. Denis Ssebuggwawo (Musajja-mukulu) was by tribe a Muganda from Bulemeezi county. His father was Kajansi and mother, Nsonga ( Musoga). .
St. Pontian Ngondwe was a Muganda by tribe from Kyaggwe county and of White Egret (Nnyonyi) clan -Bubulcus Lucidus. .
St. Andrew Kaggwa Muddu-aguma Mugoowa was a Munyoro by tribe from Bugangayizi county but his parents are not known as he was just captured from his home-land by Buganda raiders. St. Gonzaga Gonza was a Musoga from Bulamoogi county. His parents are not known, though it is said in various writings that he belonged to Lion (Mpologoma) clan..
St. Luke Baanabakintu a Muganda by tribe from Ggomba county. His father was Mukwanga and mother Kusuubiza of Seed Clan. Baanabakintu was of Lungfish (Mamba) clan—Protopterus.. .
St. James Buuzaabalyawo was a Muganda from Mawookota county. His father was Sebikejje but his mother is unknown. He was of Black and white Colubus Monkey (Ngeye) clan -Colobus Polykomos. St. Gyavira Musoke was a Muganda from Busiro county, his father was Semalago but his mother is not known. He was of Lungfish (Mamba) clan—Protopterus..
St. Anatoli Kiriggwajjo was by tribe a Munyoro. His parents and county of origin are not known as he was captured during the inter-kingdom wars and brought to the king’s palace. St. Achilles Kiwanuka was a Muganda by tribe from Ssingo county. He is from Scaly Ant-Eater or Pangolin (Lugave) clan. St. Mbaaga Tuzinde was a Muganda by tribe from Busiro county and of Lungfish (Mamba) clan - Protopterus. St. Mukasa Kiriwawanvu was a Muganda by tribe from Kyaggwe county and of Sheep (Ndiga) clan - ovis. His father was Lumanyika and mother Malokuvaawo (Musoga). St. Adolphus Mukasa Ludigo was a Munyoro by tribe from Mwenge-Toro . His parents are unknown because he was captured in the inter-kingdom wars and brought to the palaca as a captive..
St. John Mary Kiwanuka Muzeeyi was the last Catholic Martyr to be killed by king Mwanga. He was a Muganda from Buddu county. Explorer and journalist H. M. Stanley arrives at the palace of Kabaka Muteesa I, and the Kabaka writes a letter to England requesting for missionaries to be sent to his kingdom. Anglican Missionaries of the Church Missionary Society (CMS) arrive at the Kabaka’s Palace and soon start spreading their faith among the natives. Key among them is Alexander Mackay. 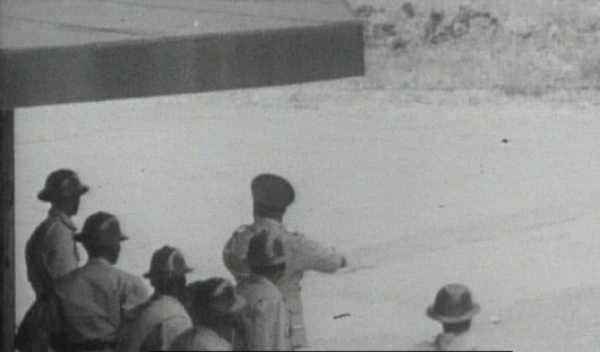 The first martyrs are killed on the orders of Kabaka Mwanga, as the new faith starts to clash with the Kabaka’s reign. Andrew Kaggwa is one of the very first killed. The famous mass killing of martyrs takes place, the majority of them burned at Namugongo –comprising of the canonised Catholic martyrs as well as several protestant ones. The Buganda religious wars erupt, in form of a three-way struggle between Protestants, Catholics and Muslims for the political control of the country. Protestants win control with support of British Imperial forces, but agreements are made to co-exist with Catholics and Muslims. Pope Benedict XV beatifies the Martyrs as “Charles Lwanga and he others”, starting on the journey of declaring them Saints of the Catholic Church. Joseph Kiwanuka is consecrated Bishop of the Roman Catholic Church, at St. Peter’s Basilica, Rome, becoming the first bishop of the Catholic Church to come from Sub-saharan Africa in modern times. The 22 Catholic Martyrs of Uganda are solemnly proclaimed Saints by Pope Paul VI in St. Peter’s Basilica, Rome 1977. Bishop Kiwanuka assists the Pope in the ceremony. The Basilica of the Uganda Martyrs at Namugongo is built and becomes the venue of massive pilgrimages. Archbishop Janan Luwum is killed by President Idi Amin Dada after he critics the dictator over his terror-bestrewn leadership. Archbishop Luwum is declared a saint and a statue of him is elected at West Minister Abbey in London, the seat of the Anglican branch of Christianity, making him one of the foremost African icons of the faith. Abamuwangangusa Abazunga tebaggyibwangako lukongoolo nti be baasala amagezi agaatuttira bbaffe ono. Era bwe yakisa omukono baalwawo nnyo okuzza enjole ye. N’olunaku lwe yaseerera tebaamubika, era okuggyako Kattikiro we yekka, abazunga bano tebaaluwandiikako nnyo mu bitabo byabwe nga kiringa ekiraga nti tebaalumanya. Kyokka ekyokusaalirwa Abakungu baffe baakozesebwa nnyo. Be bamu abaalonda Dawudi Ccwa nga wa mwaka gumu okusikira kitaawe, ate olwamala okutereka Mwanga ne baleeta Ccwa n’abikka akabugo, ne baabya olumbe era ne bamusumika, ne bamulaga abantu nti, “Ono kakati ye Kabaka wammwe asikidde Mwanga." Ne bamutwala mu Kkanisa ne bamusabira, ne bamuteekako omulundi ogwokubiri! Kyetagisa buli Muganda enakku zino okusoma okufuga kwa Ssekabaka ono. Kino kyekiseera governmenti ya Bungereza eyayitibwanga Governmenti Enkuumi okutandika okuyingira mubuli nsonga z'ensi ya Buganda. Buli nsonga yonna eyali ekwata kumutuuze wa Buganda ate era ne Uganda wano enkyukakyuka wezatandikira. Ssekabaka Mwanga naye yagenda okulaba nga obuyinza takyalina. Ssekabaka Mwanga nga abasomi abamujjeemede nga bamutekako nsonga za buli bwabisiyajji. Buli abakungu beyateekanga kumusango gwokuttibwa akalabba nga abasomi bamuwa linya lyakufirira ddini yabwe. Era bangi babawa obwa Saints (Obutukuvu) naddala mu ddini ya Bukatuliki. Okukkakkana nga Mwanga musibe wabantu be ate nabo abajja nga abagenyi okukyalira Kitaawe Ssekabaka Muteesa I.
Okutandiika okulwana ne mundu ne ntalo ezamannyi ezisobola okutta abantu abangi ddala ate nokubawamba wano w'ezitandikira. Si mu Buganda yokka naye ne mu Africa yonna. Okunoonya OBUBUDDAMO munsi endala wano w'ekutandikira mubujjuvu. Sikubafuzi ba Buganda bokka naye Nabatuuze ba Buganda bonna ate ne munsi nyingi mu Africa yonna. Omulembe gwa Ssekabaka Mwanga entalo ze ddini namawanga agava ewala enyo kwekutandiika era nekwawula mu ensi Buganda wakati nga ensonga ze Namugongo bwezilaga. Obuyinza okufuga ensi Buganda nebuva mumikono gya Ssabasajja n'Olukiiko. Ebyenfuna, ettaka nebirala bingi nebitandika okukyuka mu nkola yaabyo. Kizibu okulowooza nti ensi Buganda kakano omwaka 2014 esobola okuddayo okubeera nga bweyali omwaka 1899. Ekiseera kiyiseewo kya myaka 115. Pope Francis met with the Kabaka of Buganda, Ronald Muwenda Mutebi II and Nnabagereka Sylvia Nagginda on Saturday at the residence of Kampala Archbishop Dr. Cyprian Lwanga in Lubaga. Francis prayed for the Kabaka and his queen. He also presented to them bibles and rosaries. What then does this greeting mean for the Ganda traditionalists who since 1898 were cursed by the European colonialists during those historic violent civil wars in the Acient Kingdom of Africa? One must not forget that most of the very early Kingdoms were destroyed under the judgement of European colonial empires for the human love of Christianity and much of their territories taken over for ever more. Some sort of apology is very much necessary for that sort of misconception of the living Christian God on the part of the European colonialists. Buganda Katikkiro Charles Peter Mayiga (L) with Mr Ssalongo Mulumba, the caretaker of the Kasubi Tombs, at the monthly inspection of the tombs in Kampala. Ugandans should not condemn Ssekabaka Mwanga 11 but extol him as a national hero whose orders to execute the Uganda Martyrs have earned the country prestige, the Buganda premier has said. Mr Charles Peter Mayiga said Ssekabaka Mwanga’s actions were a blessing in disguise since every Pope and other people across the world pay homage to Uganda to specifically identify with the martyrs who died for their faith. “Uganda is one of the few, if not the only country in Africa that has hosted three popes. This is not by coincidence. It is because Mwanga planted the seeds for us by ordering the killing of the martyrs. I feel very proud of him,” said Mr Mayiga. Mr Mayiga was addressing Buganda subjects at a monthly tour to Kasubi Royal Tombs which are under reconstruction after they mysteriously went ablaze in 2010. Besides, the tombs are where Kabaka Mwanga and other past Buganda kings were buried. The Katikkiro and other Buganda dignitaries visit the royal tombs every first day of the month to check on the progress of the reconstruction work. 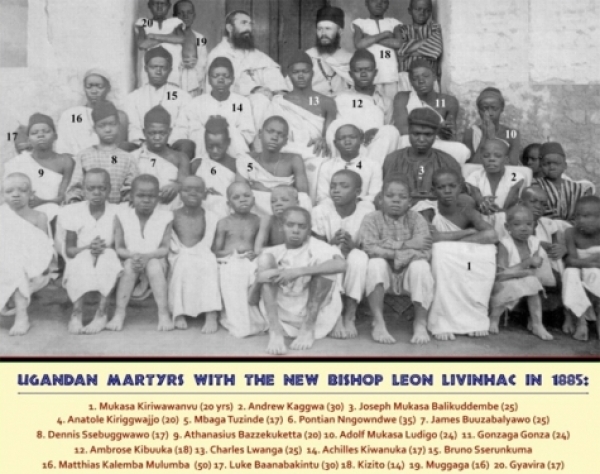 The Uganda Martyrs are a group of 23 Anglicans and 22 Catholic coverts to Christianity who were murdered between November 1885 and January 1887 on the orders of Kabaka Mwanga, Kabaka Mutebi’s grandfather. A debate has, however, raged on as to whether Ssekabaka Mwanga II was justified in ordering the killing of the Uganda Martyrs or whether the martyrs could be classified as rebels who would not have survived any regime or kingdom. The katikkiro scoffed at people who questioned why Pope Francis held a meeting with Kabaka Ronald Mutebi during his three day historic visit to Uganda, reminding Ugandans that the missionaries who taught religion were invited by Kabaka Mutesa 1. He added that if the Kabaka had not invited missionaries, perhaps religion would not have come into Uganda at the time. “In case you wonder why the Pope met Kabaka Mutebi, the answer is simple. He is the grandson of Mutesa who invited missionaries and thus is the head of the church. We explained to the Pope the history between Buganda and religion in Uganda and he was amused,” he said. Since the world was commemorating the World Aids Day yesterday, the katikkiro also cautioned the youth against reckless behaviour that could lead them to contract the deadly HIV and other sexually related infections. He added that Uganda cannot develop when the people are bed-ridden as a result of HIV. The Catholic Church beatified the martyrs of its faith in 1920 and canonised them in 1964. Majority of the martyrs were burned alive between May 25 and June 3, 1886 in Namugongo. One reckons the Ganda King Muteesa I of the Ancient Kingdom of Buganda, invited the British Government to assist in developing trade and technology right in the middle of the massive continent of Africa as was the Ottoman Empire doing during those very difficult times. Various Religions were already flourishing in the minds and souls of the African peoples as normal human beings on planet earth. The African-British Archbishop of York, Great Britain, commissions Hannington sanctuary in Busia, Uganda. kept for four days in around 1887. 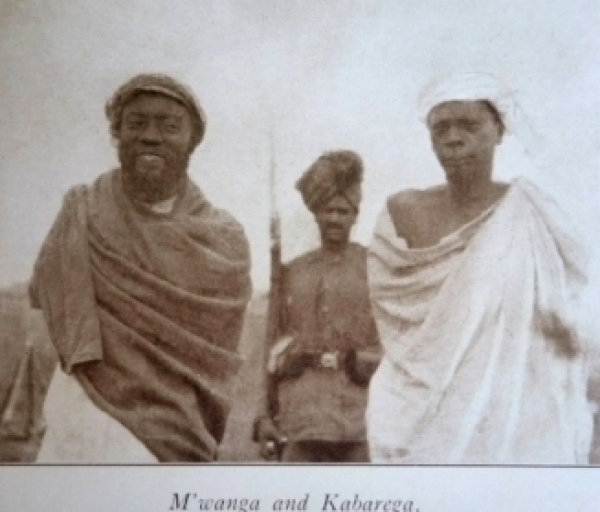 Chief Luba Munulo Juma, the great grandson of chief Luba in whose dominion (Busoga) and on whose orders Hannington was killed (and not on the orders of the late King of Buganda or Uganda, King Daniel Mwanga II) met with chief Peter Mumia II, the great grandson to Paramount chief of the Wanga Kingdom Nabongo Mumia, who had given Hannington porters and guides to Kabaka Mwanga’s palace. According to Justice Ogoola, plans are also underway to make the shrine a national pilgrimage for Christians to remember Bishop Hannington for his sacrifice for that new Christian faith to the Africans in 1888. The Omukama of the Ancient Kingdom of Bunyoro 1961. 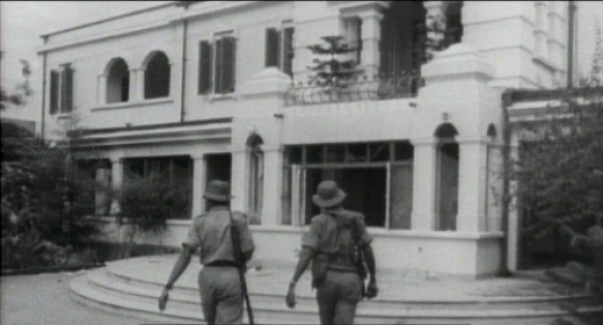 Buganda Royal Properties under African Military Occupation since 25 May 1966. 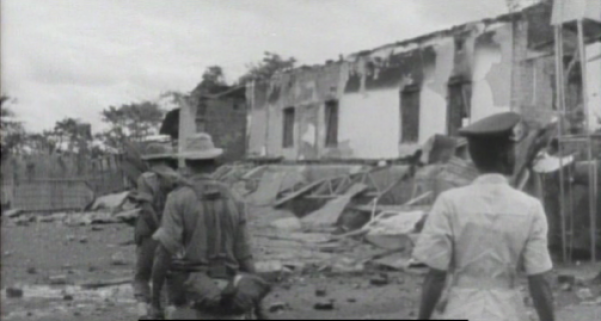 The State of Buganda Property badly destroyed by the government of the Republic of Uganda 24 May 1966. This was a criminal act made that has not as yet received justice. That developed after the political crisis of 24th May 1966. Engeri endala ebyafaayo bya Buganda ate era ne Uganda bwebirabamu enfuga ya Ssekabaka Mwanga. Mwanga ne Kabarega nga eddini ya Bazunga ebafudde basibe. At first the Roman Vatican Empire wanted to canonise only Charles Lwanga. martyrs saints whose martyrdom day, June 3, was to be observed by the faithful all over the world. The canonization of the martyrs came 78 years after their martyrdom at Namugongo and other places. This year, as we celebrate Martyrs’ Day, many Ugandans may not be aware that the journey to canonization wasn’t that easy. According to Fr. Charles Lwanga Ssengendo and Fr. Tony Musuubire of the Kampala Archdiocese archives office at Lubaga, the Catholic Church in Uganda had to work hard to prove to the Vatican that the Ugandan martyrs indeed deserved to be recognized as saints. Fr. Ssengendo salutes Ugandans who played a major role in seeing to it that the martyrs were canonized. Without such people, he says, probably there would be no Uganda Martyrs’ Day. The unsung heroes whose names are hardly mentioned on the day include the two religious officials who investigated and later made a strong case for the canonization of the martyrs; Fr. Timoteo Ssemwogerere [in Uganda] and Fr. Antonio Wouter [Vatican]. The two provided powerful institutional backing that resulted in overwhelming support for the martyrs. Also credited in this regard are former archbishops, Henry Stretcher (Masaka), Joseph Cabana and Joseph Kiwanuka (Lubaga), and Joseph Heath (missionary of Africa). Bishop Heath helped locate the relics of St. Charles Lwanga and Matia Mulumba, which had been buried under a mango tree at Nalukolongo by Christians who fled Kabaka Mwanga’s persecution to Bukumbi in Tanzania. On his part, Archbishop Joseph Kiwanuka stood firm and questioned the Vatican’s earlier decision to first canonize only Charles Lwanga with the fate of the others to be decided on individual basis. “The Archbishop disagreed, reasoning that since all the martyrs lived at the same time, prayed and died together, they had to be canonised at the same time,” said Fr. Ssengendo. It was also possible that the Bazungu(Abazunga, Colonialists) could not easily allow such a big number of Africans to become saints at once. Fr. Tony Musubire said the Vatican felt uncomfortable canonizing especially those martyrs that were not baptised at the time of martyrdom, the likes of St. Mukasa Kiriwawanvu. A staunch Catholic named Charles Lwanga, 64, of Musigula zone in Lubaga, recalls an incident in the early sixties when Archbishop Kiwanuka was tasked to explain why the Vatican was taking long to canonise the Ugandan martyrs. “Kiwanuka categorically put the blame on certain satanic forces inside the Vatican,” Lwanga recalls. The archbishop was probably referring to the office of the “devils’ advocate,” an office whose job then was to try to knock down the case for sainthood. Other important players in the canonization of the martyrs include the late Bishop Adrian Kivumbi Ddungu, who succeeded Archbishop Kiwanuka at Masaka. He vigorously marketed the cause for canonization and was among the clergy that made it to Rome to witness the grand canonization ceremony. Ugandan drums were the first African musical instruments to be played in St. Peter’s Basilica, Rome, during the canonization ceremony. A Ugandan choir led by the great composer Joseph Kyagambiddwa performed during the event on October 18, 1964. History was made when Ugandan traditional musical instruments such as drums, adungu and ndingidi became part of liturgy. This was significant because in colonial Uganda, such musical instruments had been deemed satanic by the early missionaries who saw them used in traditional shrines. It was the Second Vatican council that cleared the instruments. With the canonization out of the way, the next task was to market the martyrs all over the world. One man that stands out here is the late Emmanuel Cardinal Nsubuga. He’s credited with overseeing the construction of the current Uganda Martyrs Basilica at Namugongo. He went on to make history by successfully inviting the pope to visit Africa for the very first time. In 1969 Pope Paul VI came to Uganda to bless the Uganda Martyrs Basilica which was then still under construction. That visit played a big part in raising awareness in the whole world about the Uganda martyrs. Others that played a key role in promoting the martyrs included Bro. Augustino Tarcisio, J.F Faupels and Msgr. Lawrence Mbwenga. Yet the story of the Uganda martyrs would be incomplete without mentioning the roles played by the two popes, Benedict X and Paul VI, who beatified and canonized the martyrs respectively. Pope Paul VI, in particular, cultivated a special relationship with Africa. Besides being the first pope to visit Africa in 1969, the pope used this visit to try and reconcile the then warring factions in Nigeria. Both the Nigerian federal government and the Biafra separatists sent delegations here to meet the pope as Vatican officials stated the pope was prepared to stay in Africa for a month in a bid to bring peace to Nigeria. Pope Paul VI, who reigned between 1963-1978 showed a special devotion to Uganda. In his will, he donated some of his wealth to the people of Uganda, some of which was used by Kampala Archdiocese to build the Pope Paul Memorial Community Centre in Ndeeba, on the outskirts of Kampala. But who can dare celebrate the Uganda Martyrs Day without remembering Fr Simon Lourdel, the French priest that was nicknamed Mapeera (mon pere –my father- in French). The young priest brought the Catholic faith to Uganda in 1879. He is credited with teaching Christianity to the Kabaka’s pages, the group from which the martyrs emerged. There were also two nuns: Sr. Aloyse Criblet and Sr. Richidis who in the 1920s prayed to the martyrs and got cured of bubonic plague. It was this miracle that enabled the martyrs to be beatified. Then came the crucial second miracle that involved Salongo Revocato Kalema of Bigada in Kyotera. He prayed to the martyrs and got cured of the curved legs he was born with. 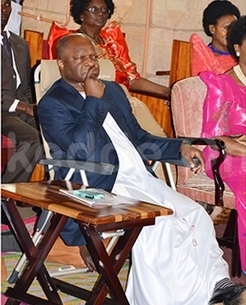 KABAKA Ronald Muwenda Mutebi II asiimye okwetaba mu mmisa Paapa Francis gy'agenda okuyimbira ku kiggwa ky’Abajjulizi e Namugongo ku Lwomukaaga luno. Minisita avunanyizibwa ku Ntambula za Kabaka Hajjati Mariam Mayanja n'abakulira eby'okwerinda bya Kabaka nga bakulembeddwamu Capt. Stanley Musaazi, ow’Abagenyi e Mmengo David Ntege wamu n’abatuuza ba Kabaka balambudde Namugongo okulaba embeera bweyimiridde. Bwanamukulu w’e Namugongo Fr. Vicent Lubega yabalambuzza ekifo nga bwe kifaanana n’okubalaga ekifo Kabaka wanaatuula n’okulaba engeri Kabaka gyanaatuukamu mu kifo kino n’okukivaamu. Mu ngeri y’emu Katikkiro Charles Peter Mayiga wakubeera ku kisaawe Entebbe okwaniriza Paapa Francis nga yakatuuka era nga yasabye Obuganda okwaniriza obulungi Paapa. Yali Ssekabaka Muteesa I eyayita abazungu okuleeta mu Uganda eddiini ng’Abakatuliki okuva e Bulaaya bajja kuno mu 1879 olwo Abajjulizi ba Uganda ne battibwa nga June 3,1886 e Namugongo eryaali ettambiro ekkulu erya Ssekabaka Daniel Bassamulekkere Mwanga II. Kirungi omuzzukulu wa Daniel Bassamulekkere Mwanga II okwetonda nasiima okubeera kumikolo gino!